On September 24th, 2018, Apple released macOS Mojave (10.14). “Mojave brings new features inspired by its most powerful users but designed for everyone.” Safely upgrade to the new macOS with peace of mind for your data. 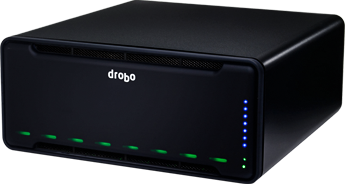 Which Drobo’s are Compatible With Mojave? 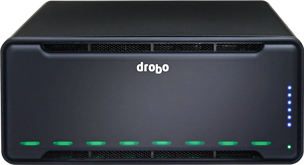 • Ensure you have the latest version of Firmware & Dashboard on Drobo (Open Dashboard ➡ Tools ➡️ Check for Update or manually check. • As a precaution, backup your data prior to performing the upgrade. 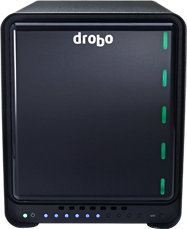 • Safely Shutdown the Drobo via Drobo Dashboard, prior to upgrading. Check if your Mac is capable of running Mojave. • Some features require an Apple ID; terms apply. • Some features require a compatible Internet service provider; fees may apply. • Have an older version of OS X? Learn how to upgrade your computer. Before installing any upgrade, it’s important to backup your Mac. Time Machine makes it simple, and other backup methods are also available. Learn how to free up space.